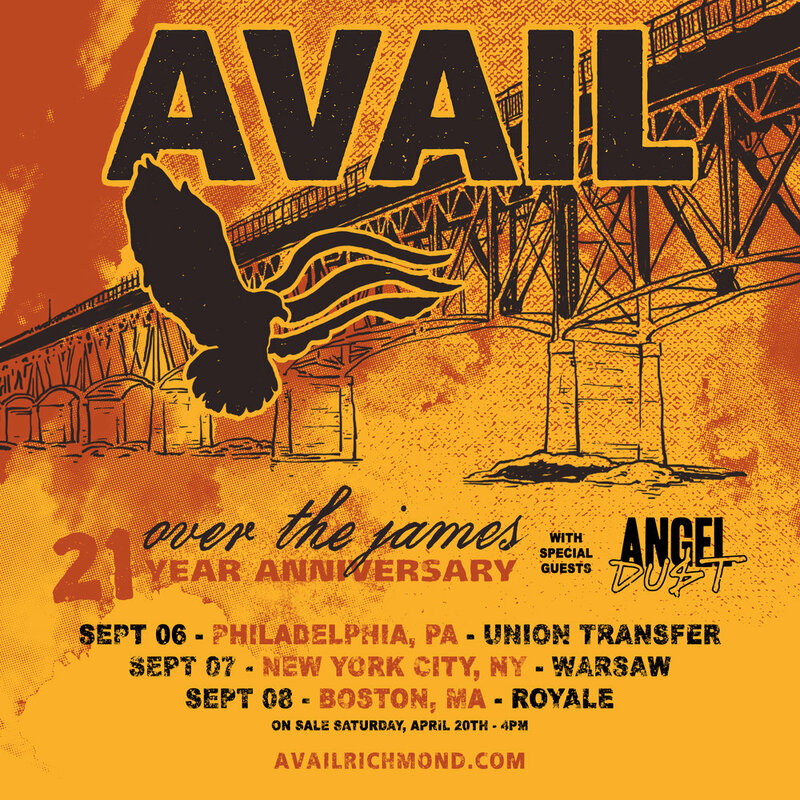 We’re super stoked to announce AVAIL are playing Philadelphia, Brooklyn and Boston. Tickets go on sale (box office and on line) at 4pm on Saturday 4/20. Angel Du$t join. For more news, check AVAIL’s website here.